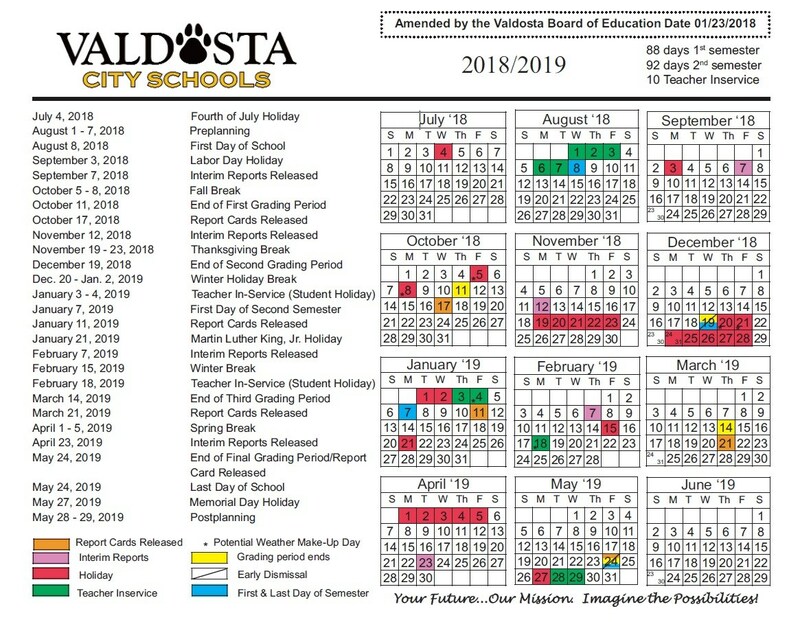 The Valdosta Board of Education voted to amend the 2018 - 2019 academic calendar at their January 23, 2018, work session. 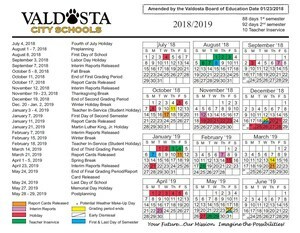 The amended calendar moves the first day of school to Wednesday, August 8 and the Fall break to October 5 - 8, 2018. This adds an additional day of preplanning for teachers at the beginning of the school year, the new dates are August 1 - 7, 2018. Click below to download a printable copy of the amended calendar.